Read about what is happening at Boffa Miskell – from our people news and award results to what we’re doing in the community. The audited results have been released, and it’s official – Boffa Miskell cyclists turned in outstanding performances locally and nationally during February's Aotearoa Bike Challenge. Just over three years ago, planner Dave Moule was the first consultant hired for Boffa Miskell's then-new Hamilton office. From Auckland to Queenstown, our staff are taking part in the Aotearoa Bike Challenge. The challenge runs through February; and with just four days to go, the competition is fierce. 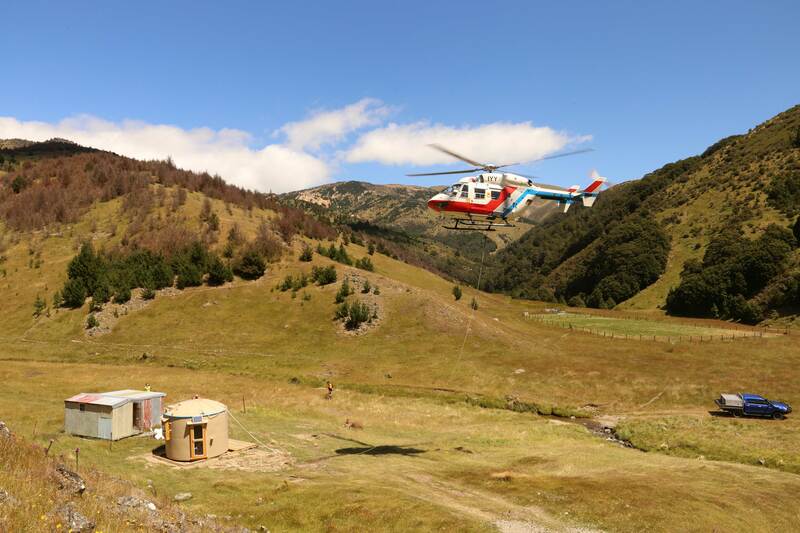 Few topics are as polarising or divisive in New Zealand as the use of aerial 1080 for the control of introduced mammalian pests. In late November and early December, landscape architects and landscape planners throughout the company attended Landscape and Visual Effects Assessment (LVA) workshops run by James Bentley. The New Zealand Institute of Landscape Architects (NZILA) has announced those graduate members who successfully passed the 2018 NZILA Registration interview and are now Registered Members of the Institute. Ecologist Scott Hooson has worked on various projects in the MacKenzie Basin. He shares insights from his botanical surveys of the native plant communities on the basin floor. 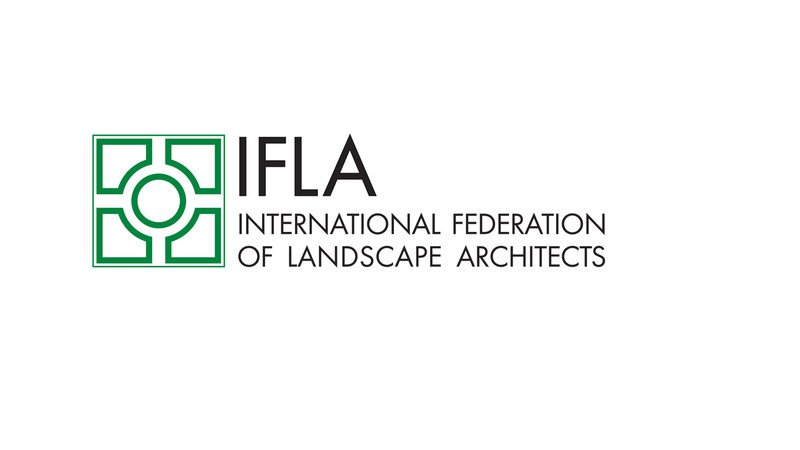 James Hayter, the new president of the International Federation of Landscape Architects (IFLA) is heading to New Zealand and delivering a series of lectures. Continue reading "Boffa Miskell joins the Festival of Architecture"
It’s been a busy time for Boffa Miskell, as the company’s presence on the South Island has expanded into Otago, and the Christchurch office has moved to new premises in the city centre. If stream diversions are to achieve good aquatic ecological outcomes, a new set of paradigms is required when considering maintenance, flooding, erosion and visual amenity. When it comes to justifying investment in public sector infrastructure, the economic benefit of improvements to the pedestrian experience have historically been hard-to-quantify, and therefore misunderstood and under-valued. It’s with great pleasure that we announce our 2018 Senior Principal, Principal and Associate Principal promotions, which took effect 1st July. These appointments have been made across our design, planning and science disciplines, and add to the talented pool of leaders within Boffa Miskell. Revised threatened plant classification – what does it mean for you? Last month, the Department of Conservation re-classified a number of New Zealand plants as 'threatened' (402) or 'at-risk' (851). Ecologist Ian Boothroyd, a senior principal and technical leader in our Auckland Office, examines how this change might affect Councils and developers. The first Urbanism New Zealand Conference in over a decade saw a contingent of planners, urban designers and landscape architects from Boffa Miskell participate in the two-day event. One of the best-loved spaces in Christchurch city centre is open to the public again, and in a landscape that still bears significant scars, it once again welcomes locals and visitors with its soft, green and familiar character. 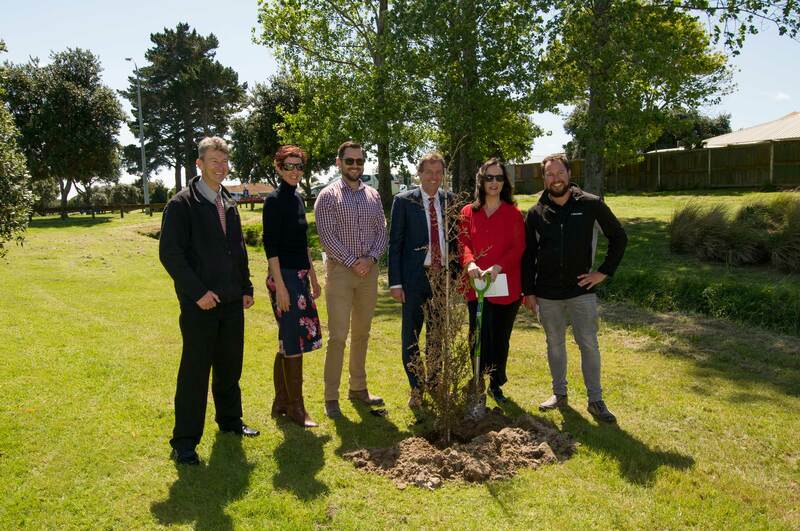 For the second year in a row, Boffa Miskell’s Christchurch office held a planting day in lieu of giving gifts to clients at Christmas time. The words 'predator-free' and 'pest-control' usually bring to mind animals like possums and rodents; but for New Zealand lakes and rivers, biosecurity threats are more likely to involve weeds and plants. Hosted by Wellington City Council and the Urban Design Forum the program theme for 2018 is ‘Joining the Dots’. The aim of the conference is to shape New Zealand’s cities and places by identifying the key issues, thereby making the connection to bring about change. In her role at Boffa Miskell, Wellington-based ecologist Tessa Roberts blends a passion for the environment with keen analytical skills. She has been part of the on-going environmental assessment and monitoring teams on major infrastructure projects, including Transmission Gully and the MacKay’s to Peka Peka Expressway. Does your project involve native lizards? Here’s what you need to know. New Zealand's native lizards are all protected under various legislation. If your project site is near their habitat, you'll need to follow the required protocols. The values of mangroves in New Zealand are often misrepresented and misunderstood, and this has led, in some cases, to mismanagement and unanticipated adverse ecological outcomes. Continue reading "Our biosecurity team rubs shoulders with the ‘who’s who’ of the aquatic plant world"
Thomas Keal (Tauranga), Megan Walker (Christchurch), Benjamin Loh, Hanna O’Donoghue, Meg Kane and Tom Lines (Auckland) all passed the New Zealand Institute of Landscape Architects examination in November. Boffa Miskell continues its association with the Auckland Botanical Gardens’ exhibition ‘Sculpture in the Gardens’, which opened for the 2017/18 season in November. Thomas Woltz lectured on the future of public parks and the legacy of private philanthropy during a visit to Auckland in November. Dr Leigh Bull, a senior principal ecologist in Boffa Miskell’s Wellington office, will be one of the keynote speakers at the New Zealand Coastal Society conference, along with Manea Sweeney, Discipline Manager – Horizon Planning of Tonkin & Taylor. The conference takes place in Tauranga, 15 – 17 November. Te Ara Mua Future Streets, Marine Parade Redevelopment Skate Park, M2PP Expressway and Greenhill Park projects have been awarded in the recent Bike to the Future, New Zealand Concrete and We are Waikato Awards held throughout the country in October. Two members of Boffa Miskell’s Te Hihiri team, Jade Wikaira and Norm Hill, are on the national committee of Papa Pounamu, a special interest group of the New Zealand Planning Institute (NZPI). Te Hihiri advisors Craig Pauling, Norm Hill and Nicole Hodgson have been appointed to the 2017 National Objectives Framework Iwi Science Panel – Te Kahu o Te Taiao, to assist in setting freshwater objectives as required under the National Policy Statement for Freshwater Management (NPS). As sponsors of the keynote address at the 2017 RMLA conference, our team of Sharon Dines, Stuart Houghton and Julie Harp-Johnson were instrumental in securing Jennifer Keesmaat, Chief Planner of the City of Toronto, to lead off the Resource Management Law Association (RMLA) conference. Boffa Miskell is building on its 15-year experience in biosecurity, by establishing a specialist team to help protect and enhance environments through innovative and effective biosecurity solutions. Napier celebrates the opening of The Reef Garden, which is the latest project in the redevelopment of Marine Parade. Jump, slide, swing and climb! Youngsters are enjoying the Potters Park playground with renewed enthusiasm following its refurbishment, designed by Boffa Miskell. Boffa Miskell has teamed up with the Banks Peninsula Conservation Trust by becoming a gold sponsor of the community-driven organisation, which works to protect and enhance biodiversity in the area. Do you work with RMA planning documents? Are you involved in providing advice to clients on the content of RMA plans/policy statements? If so, the proposed National Planning Standards will affect you. 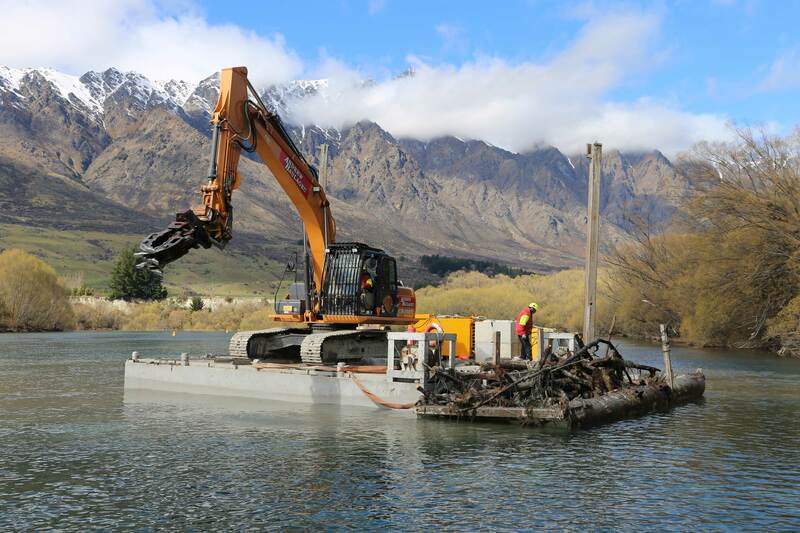 Work is continuing apace to fully reconnect Kaikōura’s road and rail links following the massively damaging 7.8 magnitude earthquake that shook the area in November last year. A significant milestone in our Tauranga office has seen Sharon De Luca succeed longstanding Managing Principal, Craig Batchelar, in the role. A summer internship has given Victoria University landscape architecture student, Yousr Ali, an introduction to the realities of landscape architecture in practice. Boffa Miskell projects have been recognised in the 2017 NZILA Pride of Place landscape architecture awards, including the Cornwall Park Master Plan and Croftfield Lane Stormwater Wetland. Rebecca Ryder has been elected to the NZ Institute of Landscape Architects' Executive Committee and the Tauranga Heart of the City Technical Advisory Group. Meg Kane, from our landscape architecture team, shares her knowledge of garden design with households throughout the country via TV ONE’s Whanau Living show. The opening of the M2PP Expressway in early 2017 will mark the fruition of a major infrastructure project on which a multi-disciplinary Boffa Miskell team has worked for seven years. Urban tree groups in Upper Hutt are now protected after a successful Plan Change, which was based on assessment methodology developed by Boffa Miskell. Boffa Miskell recently celebrated the opening of its Waikato office, based in Hamilton. The Well-Connected Alliance team, including Boffa Miskell’s Al Rigby (pictured left with Lesley Hopkins from Beca, and Ray Chang from the Well-Connected Alliance), has been recognised for ‘Going the Extra Mile’ on the Waterview Connection project at the NZ Transport Agency’s 2016 GEM Awards. 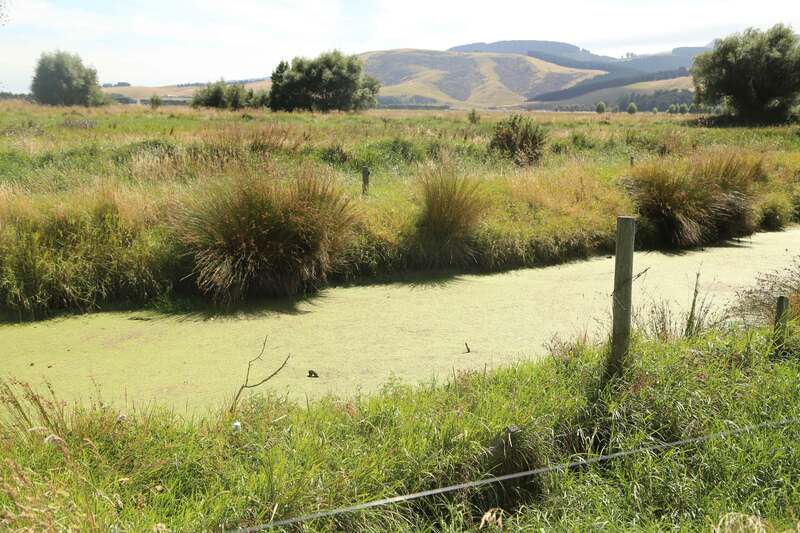 An ecological survey provides robust baseline information to measure hoped-for stream health improvements in the recently realigned Kā Pūtahi Creek. Auckland Harbour Bridge adaptive management framework project wins again. We are pleased to announce the following senior appointments within Boffa Miskell, which took effect on 1st July 2016. Award winners at the New Zealand Commercial Project Awards and the New Zealand Planning Institute Awards 2016. Creating a pleasant outdoor living environment for the residents at the Mary Potter Apartments to complement the award winning architecture. A new walk-through aviary was recently opened at Pukaha Mount Bruce National Wildlife Centre by the Minister for Conservation, Hon. Maggie Barry. Boffa Miskell was a proud sponsor of Ngo Aho Inc.’s 2016 I Ta Timatanga indigenous design conference. The Ornithological Society of New Zealand (popularly called Birds New Zealand), has selected Dr Leigh Bull to be the first female editor of Notornis. In partnership with Lincoln Agritech Ltd, our ecologists have helped design an electronic animal detection and identification tool which is now in use in Northland forests. New Zealand’s resource management, urban planning and development scene is currently under scrutiny. What are these about and what are the timeframes? Boffa Miskell is excited to be an Innovation Partner of the renowned Wellington-based New Zealand Festival 2016, in the year the festival celebrates its 30th anniversary. When planning a summer school course, ‘Designing Children’s Environments’, Sue Wake, Senior Lecturer at Unitec’s Department of Landscape Architecture, contacted Boffa Miskell to find an example of a well-designed children’s environment for her students to visit. Boffa Miskell welcomes planner and associate principal, Dave Moule, to help front our newly established Hamilton office. At Elizabeth Knox Home and Hospital in Epsom the kitchen is overflowing as aged residents reactivate their green fingers alongside youngsters in the ‘Garden of Knowledge’ – a legacy leadership project landscape architect Heather Wilkins helped create. Boffa Miskell is a sponsor of the Auckland Botanic Gardens’ biennial Sculpture in the Gardens exhibition, which is now open to the public for the summer 2015/16 season. We welcome back urban designer and principal, Rachael Eaton, to our Christchurch office. Boffa Miskell and Land Information NZ received the Best Supplier Relationship Management Award at the CIPS Australasia Supply Management Awards 2015. Landscape architect, Frazer Baggaley, was awarded the inaugural M2PP Values Award for ‘Individual of the Year’. Hamish Bell and Greg Barclay have been appointed as Independent Directors to the Boffa Miskell Board. As construction of the M2PP expressway on the Kapiti Coast progresses towards its early-2017 completion, the project’s urban design components are being implemented – but not without challenges. We are pleased to announce appointments to Senior Principal, Principal and Associate Principal positions within Boffa Miskell. It is with great pleasure that we announce the following Senior Principal, Principal and Associate Principal appointments within Boffa Miskell, which took effect 1st July 2017. Albion Square won the ‘Engaging Communities’ category of the biannual 2015 New Zealand Community Boards Best Practice Awards. New to our Christchurch planning team is Senior Planner, Chris Ferguson, who brings with him valuable knowledge and work experience of the lower South Island. Boffa Miskell welcomes two new appointments to our partners group - John Potter as a full partner and Janine Bell an associate partner. Three very diverse projects we have been involved in received accolades at the 2015 New Zealand Planning Institute Best Practice Awards. At the 2015 New Zealand Institute of Landscape Architects’ conference, Boffa Miskell was proud to sponsor the first plenary session, themed ‘Cultural Landscapes’. This provided an opportunity to have a much-needed discussion on ways the profession can better recognise Māori culture in our landscapes and work with iwi and hapū to do this. With the first Special Housing Areas in the Bay of Plenty approved, Boffa Miskell is assisting several landowners and developers through the consenting process, to enable construction as soon as possible. Boffa Miskell is proud to have been on the winning team that produced the Auckland Transport: City East West Transport Study, which received the Charlie Challenger Supreme Award at the 2015 Resene NZILA Pride of Place landscape architecture awards. Senior Planner and Principal, Jane Masters, has returned to our Auckland office after four fascinating years living in Shanghai. We are delighted to welcome Jade Wikaira, in the newly created position of Kaiarataki; Te Hihiri – Strategic Advisor, Māori in our Wellington office. How can an iwi rebuild an economic base from its Treaty of Waitangi Settlement land whilst also protecting the land’s high natural and recreational values? For Te Uri o Hau, the solution lies in the approval of a private Plan Change and the gifting of a 196-hectare reserve for conservation and public recreation. We’re proud that four Boffa Miskell people were recently appointed to the Auckland Urban Design Panel. Between them, Rachel de Lambert, Janine Bell, Lisa Mein and Stuart Houghton will contribute considerable experience in landscape architecture, urban design and planning. 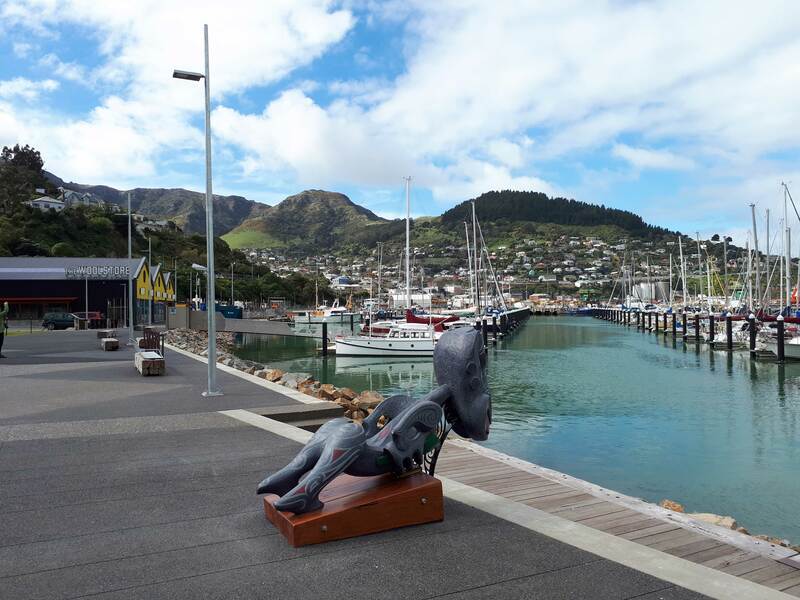 A newly-opened pedestrian plaza, which better connects Whakatane’s commercial centre with the adjacent riverside reserve area, has received accolades from the local community. The Blueprint for central Christchurch, prepared by a Boffa Miskell-led consortium, has won the Future Projects sub-category of the prestigious World Architecture News (WAN) Urban Design Award 2014. Boffa Miskell’s namesakes, Frank Boffa and Don Miskell, have been made Officers of the New Zealand Order of Merit (ONZM) for services to landscape architecture. Celebrating New Zealand’s close associations with Antarctica and the Southern Ocean. One of seven poppy shaped gardens being developed at the Passchendaele Memorial Museum 1917, in Belgium, is the New Zealand memorial garden designed by Boffa Miskell. Approval of the proposed Ruakura Development Plan Change was announced in the Board of Inquiry’s draft report and decision of 5th August. For the third year, our Tauranga office is supporting the New Zealand Community Trust’s AIMS Games International Sporting Championships by providing GIS services to upgrade the sports venue and venue location maps. How are bold decisions made for future transport needs in already congested city centre streets? – By recognising the need for decisive action, creative thinking, stakeholder involvement and rigorous analysis. The Shanghai office travels through world famous landscape and cultural sites. The Rolleston Town Centre and Foster Recreation Park Masterplans have been awarded Best Practice for the Strategic Guidance and Planning category of the New Zealand Planning Institute’s 2014 awards. Boffa Miskell is pleased to announce that Landscape Architects, Sarah Collins and Michael Hawes, have been appointed as associate directors. Wellington office moves to handsome and strengthened Huddart Parker heritage building. It is with great sadness that we acknowledge the passing of Nicole Sutton while climbing Mt Taranaki with her partner Dr. Hiroki Ogawa. Our environmental planning and design skills have been recognised in multiple awards this year. Peter Hall has been appointed a Director. The supreme award for excellence in planning at this year’s New Zealand Planning Institute’s (NZPI) annual awards went to Te Mana o Ngāti Rangitihi Trust, the Bay of Plenty Regional Council and Boffa Miskell for their Ngāti Rangitihi Iwi Environmental Management Plan. Boffa Miskell was proud to receive seven awards for projects around the country in a range of categories in the 2013 NZILA Resene Pride of Place Landscape Awards, which were announced on 8 April. The scope of design projects based in our Christchurch office is broadening again as the focus shifts from immediate earthquake recovery to development projects in Christchurch and the South Island. Design well received by Christhcurch City Council in the Breath - The New Urban Village’ design competition. After working from two temporary premises the Christchurch team are reunited in Hazeldean. The Talbot Park Renewal Project and the Blueprint for Christchurch were highly commended in the inaugural New Zealand Urban Design Awards© announced on 8 November 2012. In our 40-year history, Boffa Miskell has been associated with projects that have influenced change in New Zealand’s urban and rural landscapes. Boffa Miskell is proud to have contributed to two winning projects in the Roading Excellence Awards 2012: - the Victoria Park tunnel and the Auckland city centre shared space streetscapes. Two awards for the best use of colour have been awarded to Boffa Miskell in the Resene Total Colour Awards 2012.